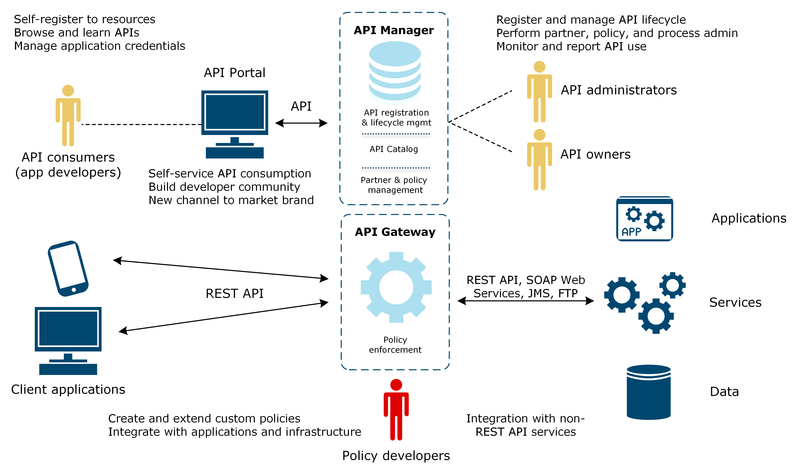 As an application developer, you can use API Portal to browse, consume, build, and test APIs for use in your applications. In addition, API Portal offers several channels, such as FAQs, forums or blogs, that you can use to find out more information. API Portal is part of the Axway API Management Plus solution. For more details, see API Management Plus Getting Started Guide.